​​​The ReliabilityFirst Critical Infrastructure Protection Committee's (CIPC) mission is to promote the physical, cyber, and operational security of the critical electricity infrastructure within the ReliabilityFirst footprint. CIPC member experience includes physical security, cyber security, compliance, governance, risk and controls, supply chain management, and auditing. CIPC meetings are divided into two parts. The first part is an open session with presentations on security-related topics of current interest, discussion, and for which minutes are kept. The second part is a “pens down" session. Only Registered Entity employees may attend this part of the meeting and no minutes are kept. The “pens down" session is an opportunity to share comments and raise concerns about security and compliance issues in a trusted environment with one's peers. The discussions are typically spirited and will show a diverse range of ideas for various subjects. The pens down session usually will have several topics pre-selected for discussion, plus time for ad hoc discussions on various topics. The group meets in person four times per year. 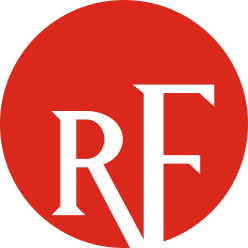 The spring and fall meetings are aligned with the ReliabilityFirst spring and fall workshops. The winter and summer meetings are held at member company locations. If you have any questions or if you are interested in joining the CIPC, please visit our Contact Us page and direct your question or inquiry to the CIP Committee.